Erin Fostel: The Weight of Absence will be presented from Tuesday, June 10, until Sunday, August 13, 2017. 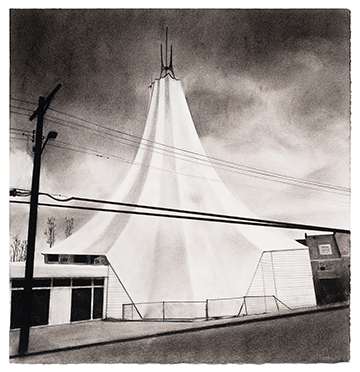 The architectural drawings in The Weight of Absence came about as Fostel grieved the loss of her father. He was an architect who enjoyed exploration, especially around Baltimore City. 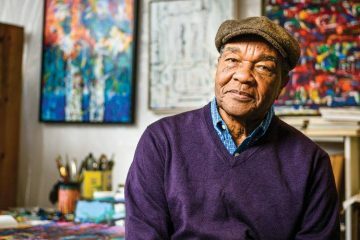 Fostel created this body of work to serve as both a commemoration of his life and a relief from the heartbreak of his death. 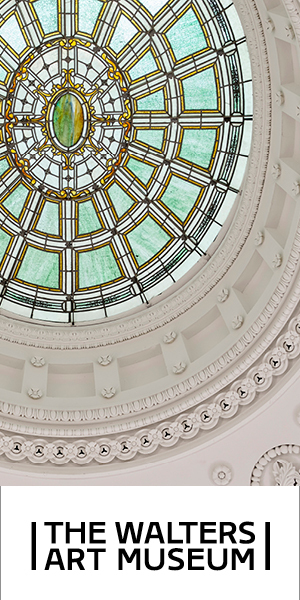 The Maryland Institute College of Art (MICA) and the M.F.A. 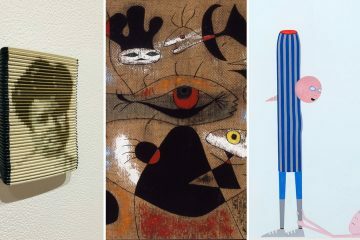 in Studio Art program are pleased to announce the full schedule of summer lectures from visiting artists. The series begins June 22, and all events are free and open to the public. 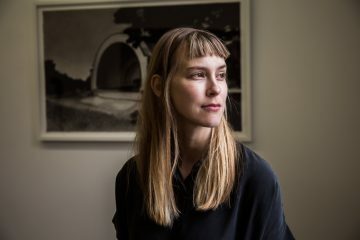 Fabienne Lasserre is a New York based artist who works with suspended fragments to create sculptures that evoke feelings of discomfort and playfulness. Materiality is of primary concern: the artist uses wool, linen, felt, paper and paint to achieve a monumental yet complex surface. No firm resolution or conclusion is achieved, leaving the works suspended in a transient moment or state. Lasserre was born in Canada and lives and works in Brooklyn. She holds a BA in Fine Arts from Concordia University (Montreal) and an MFA in Visual Arts from Columbia University (New York). She currently teaches in the Painting Department at MICA. 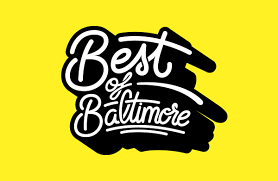 Mayor Catherine E. Pugh and the Baltimore Office of Promotion & The Arts announce the details for the 36thannual Artscape, returning to Baltimore Friday, July 21 through Sunday, July 23 on Mount Royal Avenue and North Charles Street. 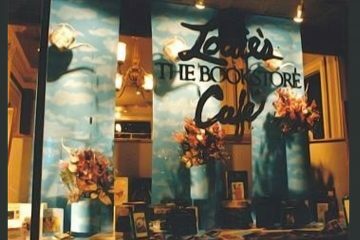 Artscape is open from 11am to 9pm on Friday and Saturday and 11am to 8pm on Sunday, with Artscape After Hours taking place Friday and Saturday from 9 to 11pm. 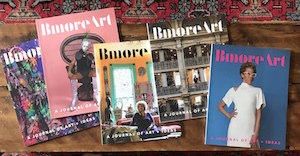 This year’s theme is “Camp Artscape: Adventure Awaits” and encourages artists and festival-goers to step out of their comfort zone and experience something new at a summer staple in Baltimore: Artscape. The festival is headlined by legendary r&b/funk artist Sheila E. on Friday, July 21 at 7:30pm, Gypsy punk group Gogol Bordello on Saturday, July 22 at 7:30pm and soul group Robert Randolph & The Family Band on Sunday, July 23 at 6:30pm on the Artscape Main Stage. 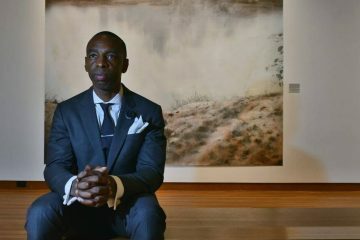 A full schedule of events can be found on www.artscape.org. Festival-goers can explore the great outdoors by visiting the five camp-themed art installations along the Artscape festival footprint. Attendees can gather around Let’s Build a Big Campfire! (Pearlstone Park, adjacent to Cathedral and Preston streets), a 20-foot tall sculpture of a campfire made of steel and logs, complete with a marshmallow and skewer. Then, stop by Camp Ready (1300 block of Charles Street between Mount Royal Avenue and Preston Street) to learn about preparedness and solutions to the everyday problems of survival. At Barter Boat Trading Post (Charles Street by Penn Station), browse through a floating inventory of trinkets, postcards, and souveniers and trade with fellow “campers.” Who’s Watching (Charles Street by Penn Station) explores aspects of surveillance through an immersive, interactive interplay in which those in viewing domes participate by watching each other. At Dance Camp (1704 N. Charles Street), festival-goers can experience an array of dance programming including interactive workshops, high-energy performances, professional competitions and nightly social dances. Plus, attendees can take a meandering stroll amongst three interactive artworks along the camp-themed Charles Street Trail. Kidscape, Artscape’s area for its youngest festival-goers, moves to a new location this year at Pearlstone Park. New at Kidscape is Camp NASA: The Universe Awaits, programming from NASA featuring educational, interactive and hands-on activities for would-be space explorers of all ages. Also new is The Mess Hall, an interactive area with demonstrations and performances, featuring the culinary arts, camp and outdoor-related education and entertainment, with programming from arts and cultural organizations. 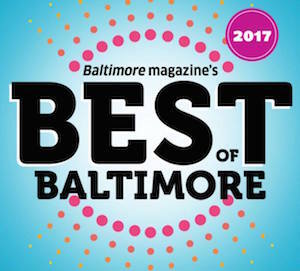 Artscape continues its tradition of serving food from 100% Maryland vendors and commitment to sustainability by banning Styrofoam materials. Festival-goers can enjoy offerings from Black Dirt Farm Collective, Ejji Ramen, The Local Fry, CREPE, Dizzy Cow Pizzeria, The Local Oyster, Connie’s Chicken & Waffles, Prigel Family Creamery, a variety of food trucks and more. Plus, for the first time, Artscape will feature 100% local Maryland beers including Flying Dog, Heavy Seas, Union Craft Brewing and The Brewer’s Art. All proceeds from beverage sales directly benefit the festival, helping ensure that Artscape stays free and open to the public. 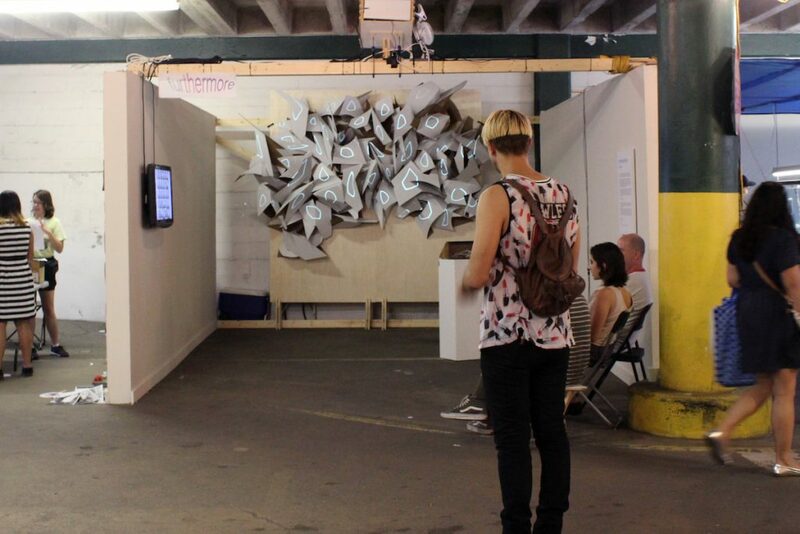 Returning for its fourth year, the Artist-Run Art Fair will once again transform the parking garage at 1714 North Charles Street into a showcase of contemporary artwork being presented by artist-run galleries and small curatorial projects from across the country. 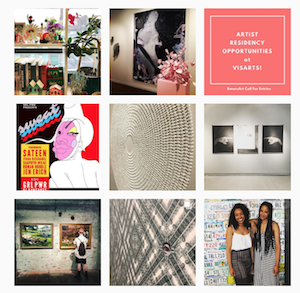 FRIDAY, JULY 21: 11AM- 9PMArtist-Run Art FairHighlighting emerging contemporary artists through artwork, prints, publications and on-site artist projects. 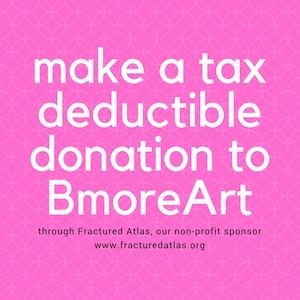 SATURDAY, JULY 22: 11AM- 9PMArtist-Run Art FairHighlighting emerging contemporary artists through artwork, prints, publications and on-site artist projects. 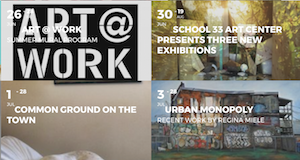 SUNDAY, JULY 23: 11AM- 8PMArtist-Run Art FairHighlighting emerging contemporary artists through artwork, prints, publications and on-site artist projects. 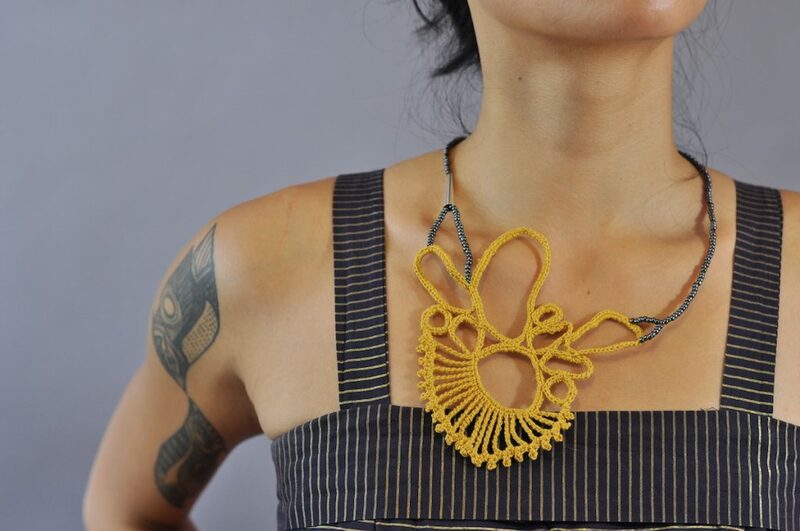 The Baltimore Jewelry Center’s upcoming summer exhibition CrossPASS will be on view in its gallery in Baltimore’s Station North Arts & Entertainment District from July 21-September 1. 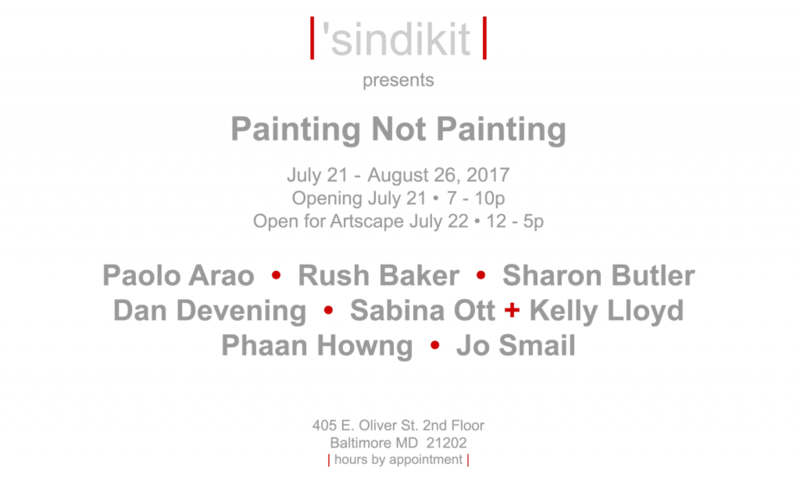 There will be an opening reception from 6- 9pm on Friday, July 21 featuring the two artists who created the exhibition and a free workshop connected to the exhibition on Saturday, July 22 from 10am-12pm. 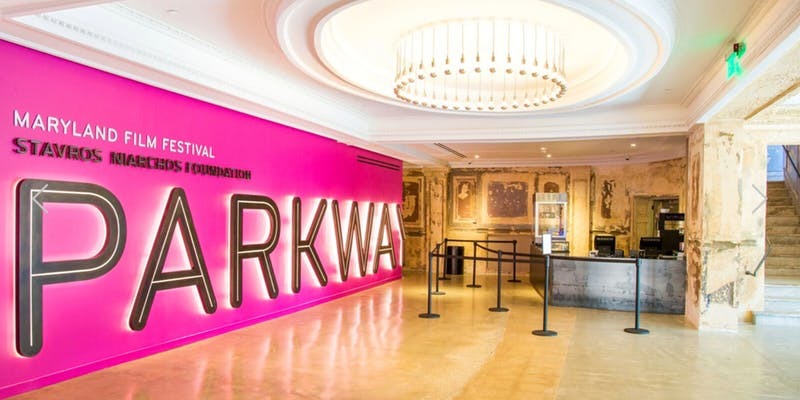 The exhibition and related events are free and open to the public. CrossPASS is a project featuring collaborative and solo works by artists Demitra Thomloudis and Motoko Furuhashi that examines place through expanded media and the intimate lens of jewelry and small objects. The project targets a distinctive stretch of the Interstate 10 corridor connecting the unique borderplex region of El Paso, Texas to Las Cruces, New Mexico. The objective of CrossPASS is to allow site-specific locations and the artists’ shared personal inquiries along this route to initiate the collection of images, video and sound which directly influences the creation of jewelry and objects. The viewer is asked to join them in their investigation of this land awash with dramatic terrain, vernacular structures, and a multitude of boundaries, and to uniquely discover these sites through the body. Activating a highly public site at the corner of N Charles St and E Lafayette Ave, the Station North Mini Golf project engaged artists, designers, and students from Baltimore’s preeminent creative community. Four interdisciplinary design-build teams were assembled for this curriculum-based program consisting of local artists Dave Eassa, Samantha Redles, Megan Lewis and Jose Rosero; a coach from FutureMakers, the mobile makerspace for children; and a teacher and their class of students from three area schools (Baltimore Lab School middle and high school classes, Baltimore Design School upperclassmen, and Margaret Brent Elementary Middle School 6th graders). Each played a vital role in facilitating the collaborative design resulting in eight miniature golf holes. The designs were translated by a team at Gensler to then be fabricated at Open Works, the new makerspace in Station North. Station North Mini Golf will launch at Artscape 2017. Chicago is a dazzling and satirical look at fame, justice, and the media machine. Set in 1920s Chicago and based on real-life murders and trials, Chicago follows Roxie Hart, a wannabe vaudevillian star who murders her lover and is arrested, despite her attempts to convince her pushover husband, Amos, to lie for her. In the Cook County Jail, Roxie meets her hero, the famed double-murderess and nightclub performer Velma Kelly. When both acquire the same lawyer, the greedy and lustful superstar, Billy Flynn, tensions come to a head as they vie for the spotlight, though instead of onstage, they’re mugging for the flashbulb of the newspaper reporters. 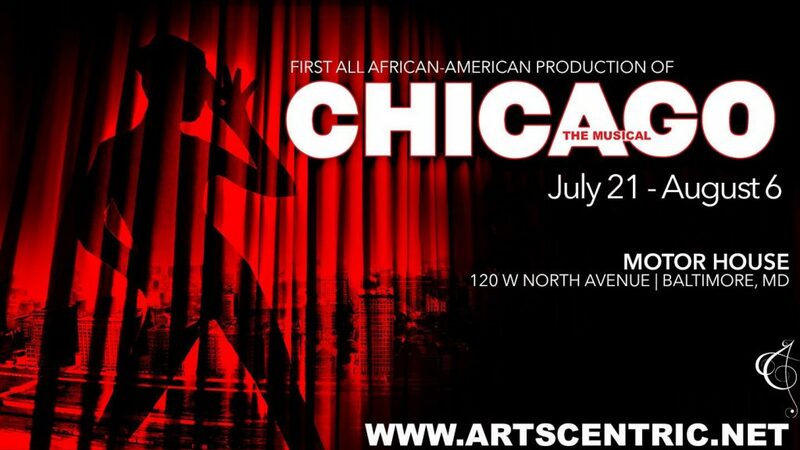 Chicago is a musical spectacular that is as addictive as gossip rags and as unforgettable as any trial of the century. More info on Artscentric Theater at artscentric.net. 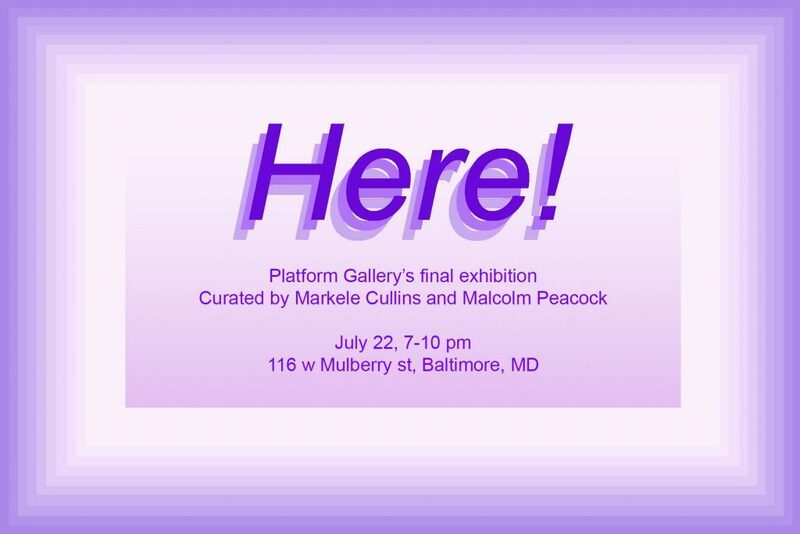 “Here!” is a multidisciplinary exhibition that displays work from a variety of sources: recent graduates from Baltimore School for the Arts, Carver School for Arts and Sciences, and other independent, emerging, and established artists in Baltimore. 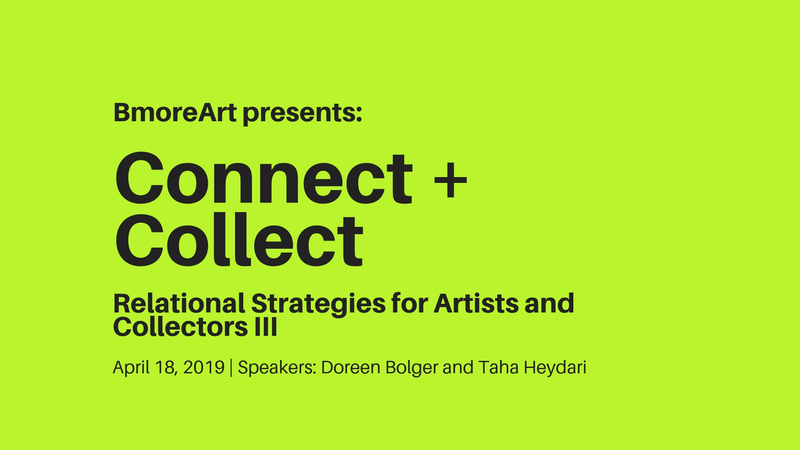 This grouping of artists from the Baltimore area is an attempt to engage artists and audiences beyond the barriers that exist within the arts community in regards to location and age. 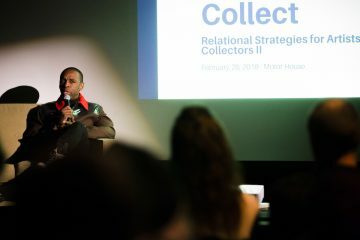 In conversation with one another, the pieces on display explore content that is essential to the identities, experiences, and lives of the artists. The show opens on the evening of July 22nd at Platform Gallery with performances from Lynn Hunter on August 4th, 5th, and 6th. 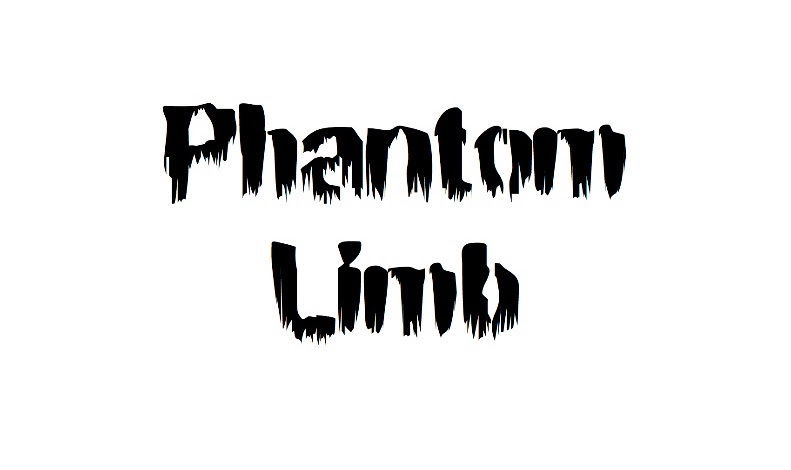 Guest Spot @ THE REINSTITUTE is proud to present, Phantom Limb. —We would like to dedicate this exhibition to the many who have faced extreme hardships over this past year keeping their art spaces open. In the classic slasher movies to which both the film Scream and its killers refer, the mask of the killer, whether Jason, Michael Myers, Leatherface, constitutes their identity. It is only by assuming their distinctive appearance that the killers become fully themselves. In Scream this relationship is destabilized as the face of the killer, the mask rendered in Gina Dawson’s sculpture, is inhabited by two actors, the appearance of the supernatural achieved only by playing on assumptions of the slasher’s singularity to misdirect both victims and viewers. The mask of the killer is no longer about personhood so much as procedure. Dawson’s work renders this iconic face in transparent form, a net containing both a trapped butterfly and a finger exhorting it and us on the best way out. In the work of all of these artists, bodies, whether whole or in part, follow their own prerogatives, detached from questions of singular identity. The paintings of John Bohl render an uncanny nature with unnatural precision, in which bodies mutate and coexist with other, seemingly alien forms, as octopi attempt to make use of kitchen chairs and spiders encircle limbs of uncertain provenance. Conversely, Nicole Dyer’s hand is palpable in her handling of paint, just as the figures within her images reach out to make contact with one another. In Genesis Belanger’s ceramic sculptures, limbs exist in solitude, with no sense of further connection. Whether reincorporated into historical sculptural forms, as in A Sphinx Who Serves, or performing an act of selection, in which the full force of a muscular, well-manicured hand is brought to bear on the selection of a single pill, they are subsumed into their actions, and the crispness and clarity of their construction gives them a sense of sculptural inevitability.